After 8 hours remove jars from crock pot and cool to room temperature. 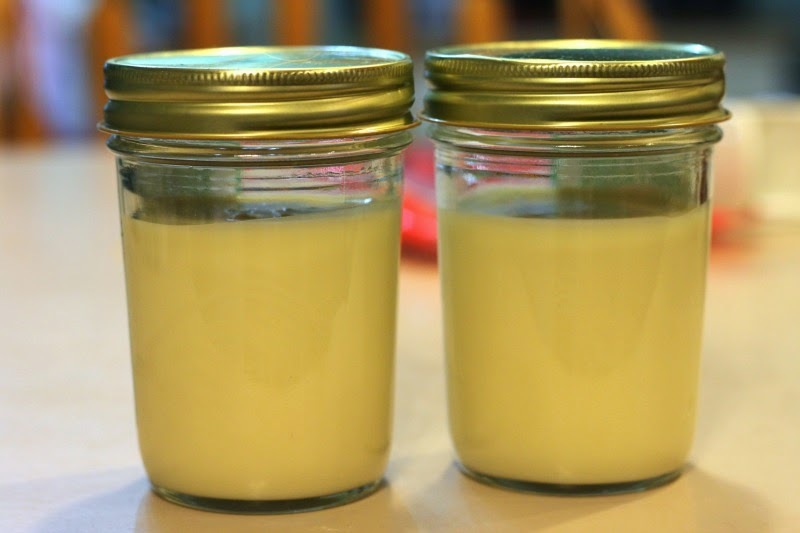 Put milk into jars and place in crock pot. 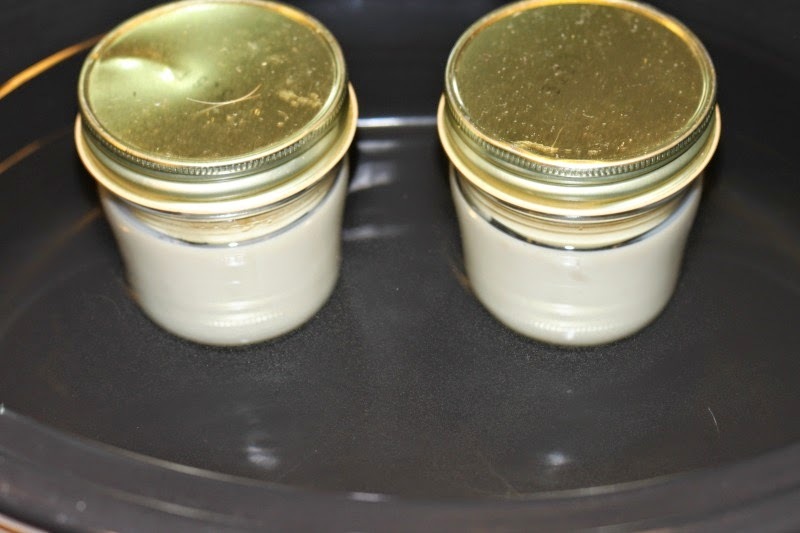 cover jars with water up to the lids. Cook on low for 8 hours. 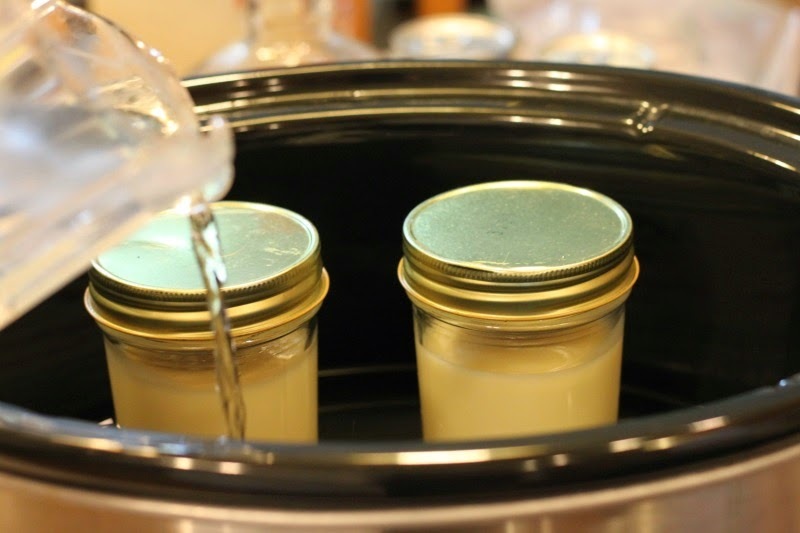 After 8 hours allow jars to come to room temperature and then refrigerate. 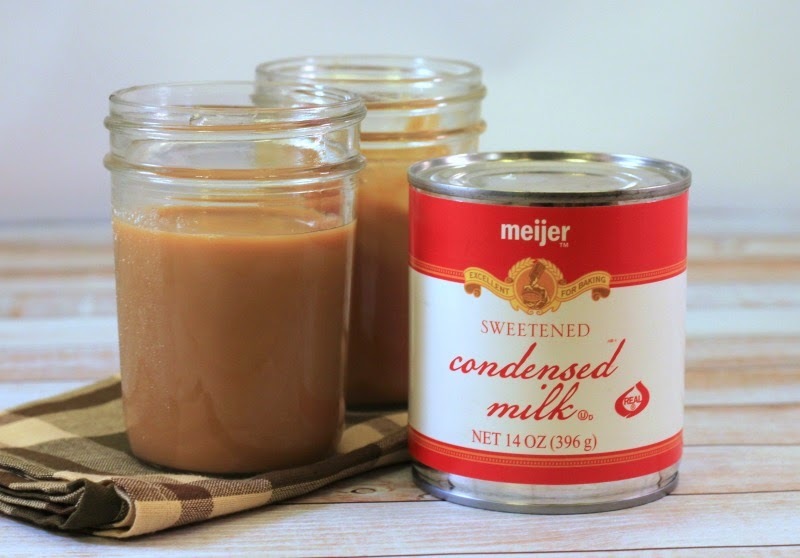 We used to make this caramel on the stove when I was growing up, but we left in the can. Everyone warned us that it would explode, but it never did, lol. :) I'm loving the idea of the crockpot, that makes it even easier!! I love caramel! Thanks for linking up at Best of the Weekend! Wow and yum! Sounds awesome! What a great idea! 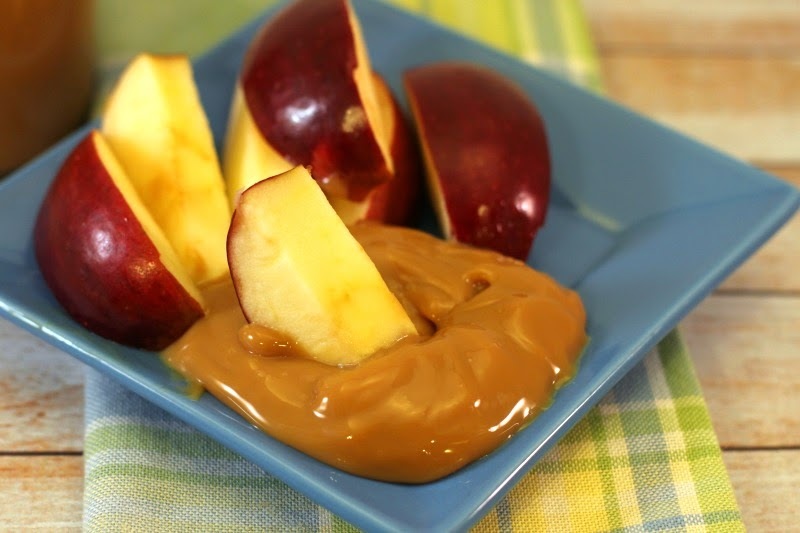 I'm so intimidated by cooking caramel on the stove, but this looks like a great alternative method!!!!! Thanks for sharing!!! What a cool thing to do! Caramel is a second love to chocolate, and this looks so easy! Pinned and following! 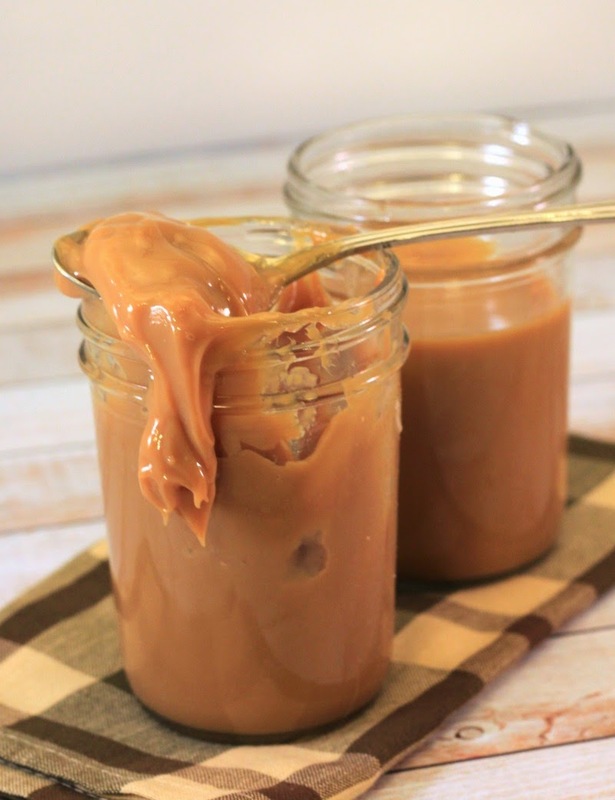 That caramel looks dangerously good and easy to make! Yum! This looks delish! I remember my brother made me some after he spent time in Argentina but he left it in the can! Thanks for another great idea! Pinning this so I can find it when I need it. And it will be soon. Yummy! Oh my yum! 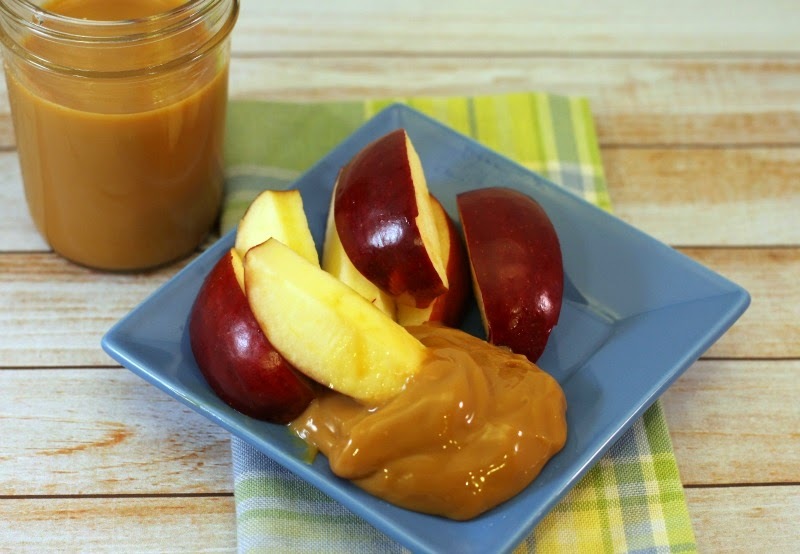 Pinning so I can use this in my favorite fruit dip instead of buying it from the store! I'd love for you to share this on Talented Tuesday link party! WOW! That is so easy! Yummy!!! 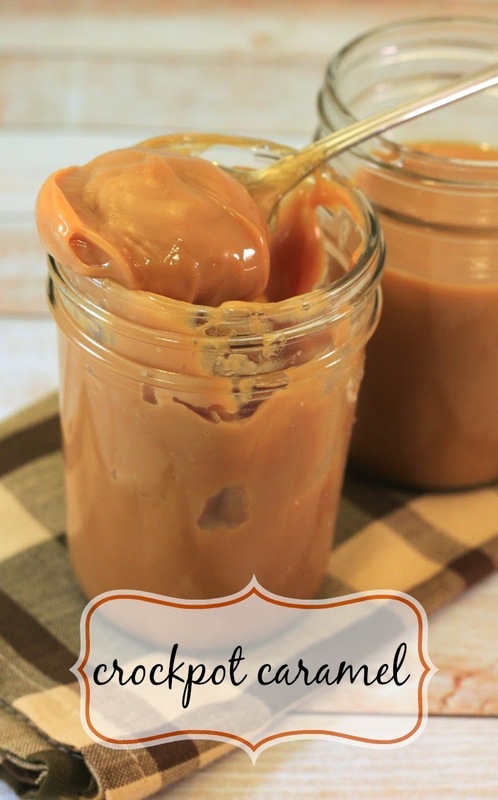 What a great and easy recipe for caramel! Thanks for sharing! I can't believe how easy this is! Im going to have to give this a try! It's like magic! 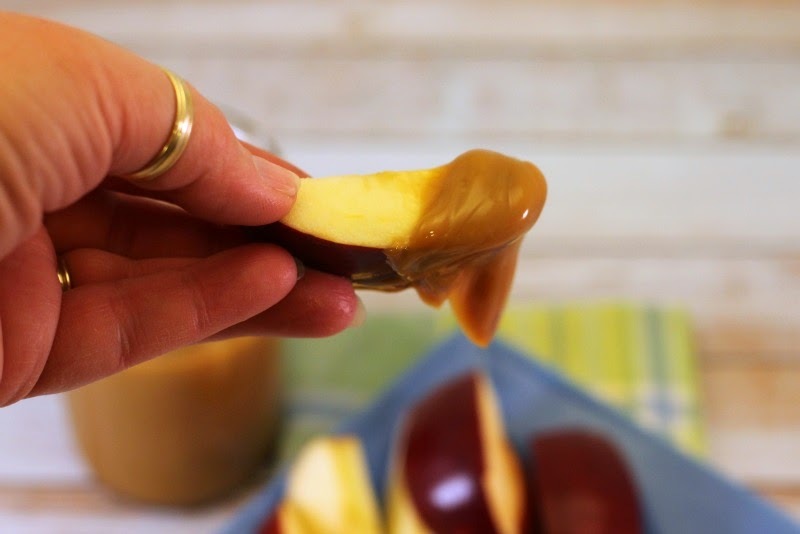 I had no idea you could make caramel sauce so easily. Thanks for sharing at the This Is How We Roll Link Party on Organized 31.